Membership is open to anyone, with or without knowledge of the night sky or a personal telescope. The membership period begins in July but you can join at any time of the year. Click to download membership application form. Members receive 10 copies of the Society’s “Sky Notes” publication. “Sky Notes” are produced in PDF format and are emailed to members each month. It features articles written by members, observing reports, images taken by members, the society newsletter, monthly night sky guides, and much more. Please have a look at a Sample edition of SkyNotes. Free entry to monthly talks (non-members £3). 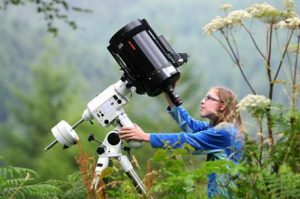 Half-price entry to annual StarFest starcamp in August. Access to an additional ‘Members Only’ Facebook group. The society members library including books, journals and other resources. Use of Low Dalby observatories. Ability to loan society equipment for personal use. Member only events, such as the annual Messier Marathon, Winter Star Camps and organised trips. Society meetings are held at East Ayton Village Hall, Wilson’s Lane, East Ayton on the third Friday of each month, with a prompt 7.45pm start for all talks. 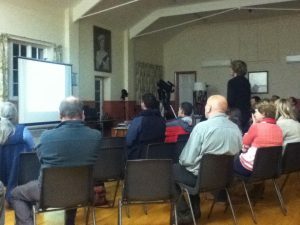 Members usually arrive from 7:15pm to allow for a quick chat prior to the main talk and to help set up the equipment. If clear skies are forecast, members can make use of the dark outdoor space and observe after meetings. Members will receive a ‘Welcome Pack’ containing details of the Society, its history and locations of observing sites in the area. (If you have recently become a member and have not received the welcome pack via email within a couple of days, please contact sarasenquiries@gmail.com).